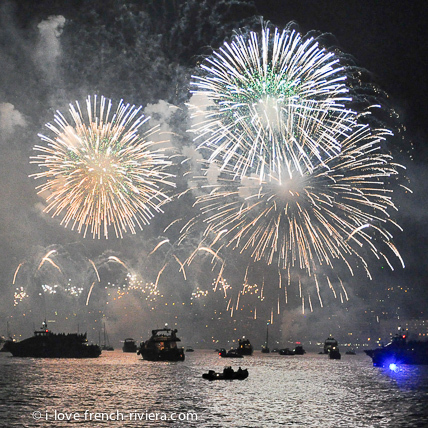 The holiday apartment overlooking the sea that we propose in La Napoule has a privileged location at the southwestern end of the Bay of Cannes called the Gulf of La Napoule, just 7 kilometers from the city center of Cannes. 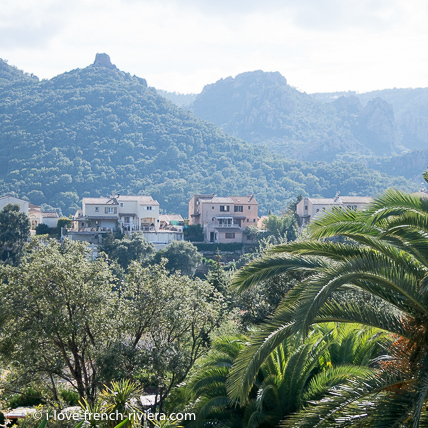 As you can imagine we are in one of the most beautiful places on the French Riviera. In this part of the bay, the sea is almost always calm because the site is sheltered from the winds by the mountains of Esterel. This exceptional strategic situation has become today an advantage for the quality and the pleasure of your stay and your holidays. Originally a modest Provençal Mediterranean village of fishermen and monks, Cannes became in the 19th century a seaside resort synonymous with luxury and frequented by the jet set of the whole world. 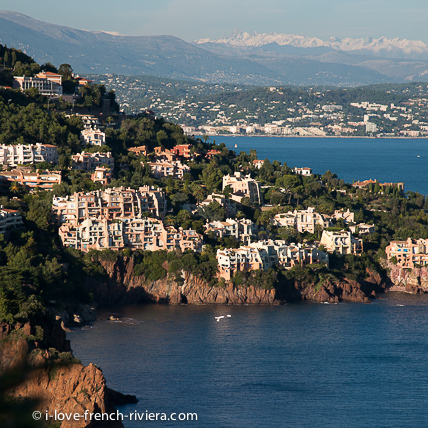 Cannes, its luxury brands, its famous Croisette, its restaurants and entertainment are just 7 kilometers from La Napoule. A nice walk is to follow the waterfront on foot and come back by train or bus. La Croisette and the beaches of Cannes. A nice walk of 7 kilometers along the waterfront from our apartment La Napoule. 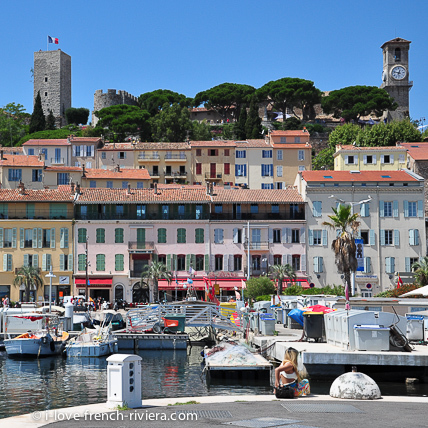 The historic Suquet district in Cannes overlooks the old harbor. Located southeast of the tip of the Croisette, not far from the city of Cannes and visible from Mandelieu-La Napoule, the small archipelago of the Lérins islands separates the Gulf of La Napoule, in the west, the Gulf from Juan, to the east. 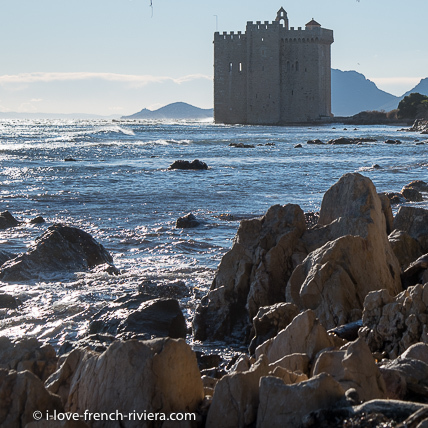 The archipelago consists of two large islands and some rocky islands: Sainte-Marguerite, the largest island, is famous for its fort which would have housed the man with the iron mask, and Saint-Honorat, smaller, is known for its monastery and its wines. Both islands are a wonderful excursion and walking destination. They are accessible by boat all year round from the port of Cannes and from spring to autumn directly from the port of La Napoule. Ile Sainte Marguerite is accessible directly from the port of La Napoule from Easter to autumn and from Cannes all year long ... Of a length of 3 km for about 900 m wide, the island Sainte-Marguerite shelters very beautiful eucalyptus woods (the oldest in Europe) and pines. The majority of the island is covered by forest, state-owned protected area. It is the second most visited forest in France. All you have to do is leave the apartment, cross the boulevard and you are at the main marina. From there leave the ships of the Compagnie Maritime Napouloise. Here are wonderful cruises and excursions in perspective to the island Sainte-Marguerite that can be seen in the distance, the Corniche d'Or which will allow you to discover the massif of Esterel from the sea, Cannes, Saint-Tropez and even Monaco! 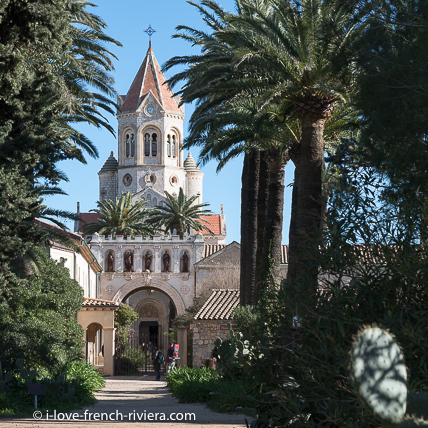 The fortified monastery was built from the eleventh century by the Abbey of Lérins on the south coast of the island Saint-Honorat in the bay of Cannes to protect the island, the monastery and its occupants. On the road from Mandelieu-La Napoule to Tanneron in winter, at the time of mimosa. Landscape of Estérel, on the mountain road that connects Mandelieu-La Napoule to Saint-Raphael. The hinterland and its traditional villages deserve at least a day trip. 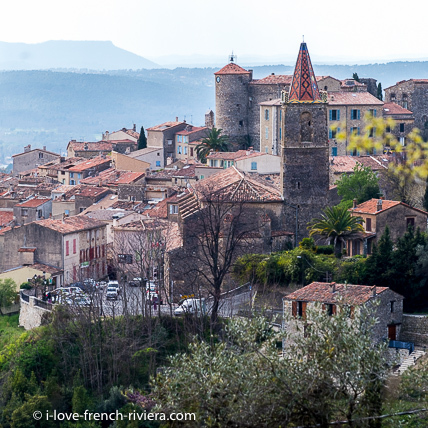 Here are a few: Mougins, medieval village with many painting workshops and art galleries; Bar-sur-Loup, medieval village in the hinterland of Grasse; Callian, perched village in the country of Fayence, a half-hour drive from Mandelieu-La Napoule. The village is dominated by its castle, around which wind lanes lined with old houses. Mons, old Provencal village is located at 814 meters above sea level. Belvedere and exceptional panorama on the Côte d'Azur. 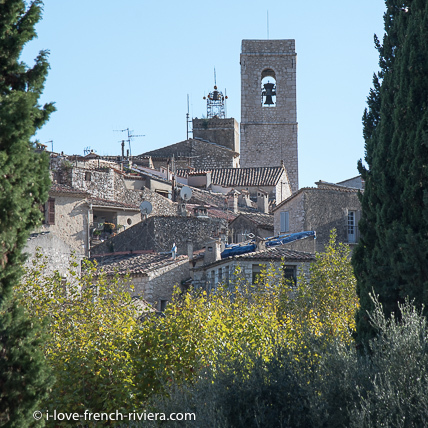 Tourrettes-sur-Loup, fortified village located on a rocky outcrop with a beautiful panorama. Saint-Paul de Vence, known for its many art galleries and the Maeght Foundation is a feudal village that has hosted many artists and writers. To explore the villages of the hinterland, you will need a car. The famous village of Saint-Paul-de-Vence in the hinterland of Nice is known for its many art galleries. We distinguish the sea in the distance.